Is your migraine a pain in the neck? To further confuse the situation, the International Headache Society has recently released the updated International Classification of Headache Disorders (3rdEdition), whereby there are approximately 320 different classifications of headache disorders. Unfortunately though, despite being able to classify your headache types, the medical jury is out on what the causes are for the primary headache types. The common belief is that the blood vessels in your brain suddenly open up (dilate) and cause increased tension inside the very solid skull, or that the neurons in your brain suddenly start to all fire at once. For these reasons, common analgesics like paracetamol and ibuprofen offer little relief to the symptoms. Recent advancements in the ability to differentiate between neck pain being a “symptom” of your headache or a “cause” of your headache may enable you to gain relief from your debilitating condition. If you are suffering from a cervicogenic headache, medications will rarely provide any significant or ongoing relief as the cause is biomechanical in nature. 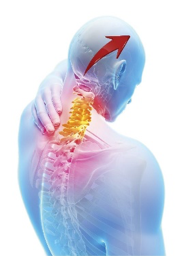 Through a series of investigating the pattern and distribution of your headaches, loss of specific ranges of motion in your neck, sensitivity to spinal segmental mobilisations and a review of some of your sensory reflexes, it is possible to determine whether treatment on your neck may in fact relieve your headaches. So, if you suffer from headaches on a regular basis, or tend to get severe symptoms when you suffer infrequent headaches, come in and speak to one of our physiotherapists to determine whether your symptoms can be relieved with treatment on your neck.